Lauren Marsh’s bittersweet, heartfelt “Take Me with You” shines with love as the pop singer/songwriter thanks the ones who shape us most. There’s no way to know where we’re going in life; the road is long, dark, and often full of unexpected twists and turns. We won’t always have full control over our car’s direction, but we can always choose who’s in there, riding with us. A grateful tribute to the ones who shaped us most, Lauren Marsh’s heartfelt “Take Me with You” takes a ride down memory lane to a not-so-lonely small town girl with big dreams – dreams she keeps working toward every day. Atwood Magazine is proud to be premiering “Take Me with You,” the lead single off Lauren Marsh’s upcoming EP REVIVAL (out later 2018). Hailing from New Jersey, indie pop singer/songwriter Lauren Marsh fills her music with deep, simple truths and incredible relatability. 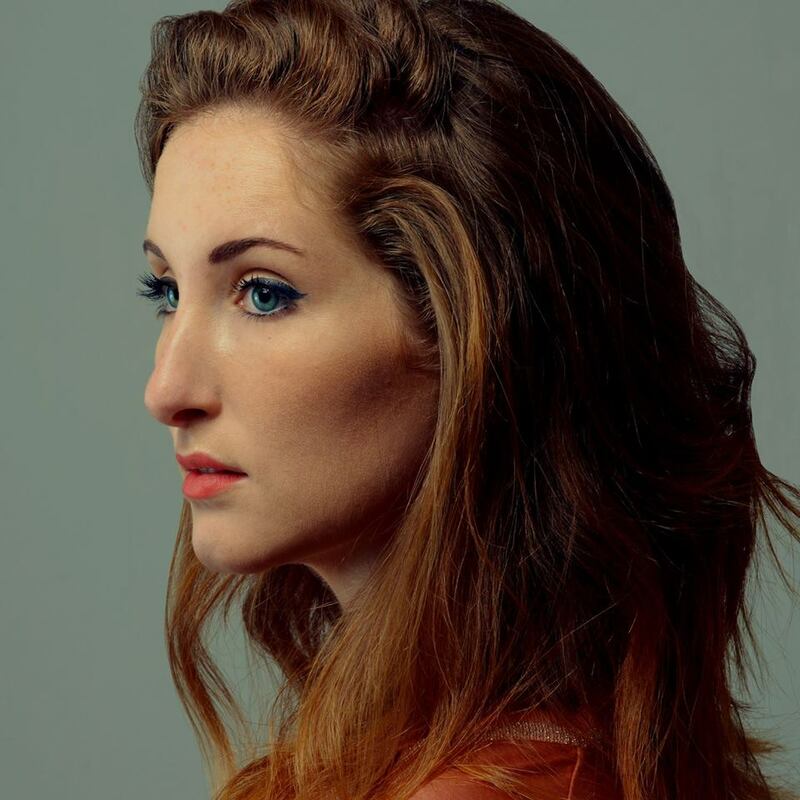 Her song “Dear Love,” off 2016’s debut EP Veracity, earned Marsh her first hit – racking up over five million streams on Spotify, with prominent television syncs opening her music up to a wider audience and helping launch her career. But the life of an independent artist – and any musician, for that matter – is never easy, no matter how many small or big breaks you get. You alone must be the one in the driver’s seat, always pushing yourself and believing in your work, not to mention making the most of every opportunity that’s thrown your way. Having seen a glimpse of success with her first EP and now embarking on her second one, Lauren Marsh is undoubtedly at a point of transition; hopefully, one that jettisons her even further into the public’s eye (and ears). “Take Me with You” is therefore an acknowledgement of how much it’s taken for her to get this far; it’s a poignant, powerful thank-you to everyone, and everything in her life. Full of warmth and sincerity, the early-Taylor Swift-esque pop song tells a nostalgic story of growth and change, expanding from a ukulele to a full band sound that brims with life and vibrant energy. Sweet and bittersweet all at once, “Take Me with You” shines with a love for the life you’ve been given. It’s the song you put on to tell someone how much they mean to you – be it a best friend, a partner, a family member, and so forth. It’s a song that reminds us that we are never alone: There is always someone out there for us, and whether or not they’re able to support us right at this moment, they’re still there – and they always will be, time willing. 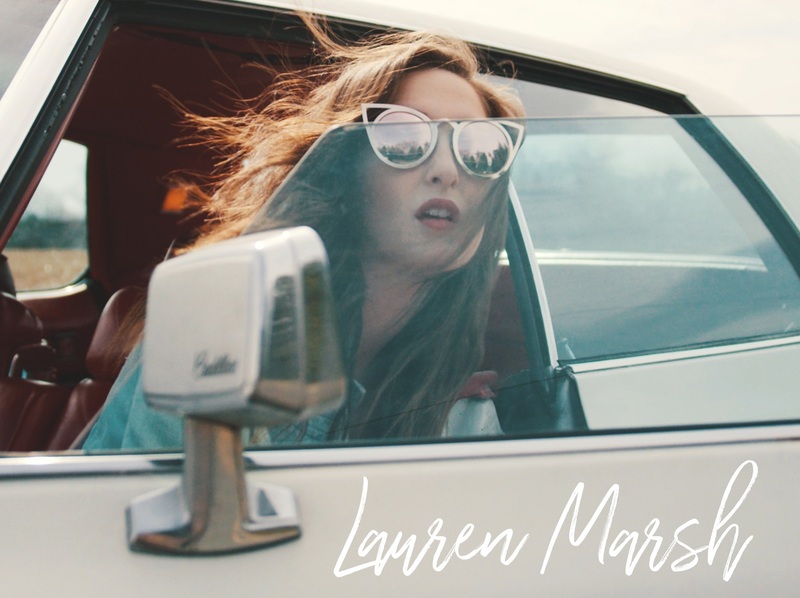 Marsh’s “Take Me with You” music video tells her story perfectly, reintroducing us to this dynamic singer/songwriter with a vintage Cadillac deVille, a classic American diner, and most importantly, Lauren Marsh: A name we won’t be forgetting any time soon. Stream “Take Me with You” exclusively on Atwood Magazine, and dive deeper into the music below as Marsh shares the story and meaning behind her video! Working as an independent artist on a tight budget, some of the biggest challenges can be nailing down locations and acquiring access to things like a vintage car. Luckily I have some amazing friends and I’m from a supportive community…somewhat supportive community. My main focus, when it came time to film a video for “Take Me With You,” was to capture the imagery and nostalgic energy of the song. Depicting late night road trips and conversations at diners, this video needed a car that fit the youthful nature of the story and a diner location, specifically “a corner booth”. I reached out to my Philadelphia based videographer, Ryan Hansen, and began sketching a timeline. The 1976 Cadillac Sedan deVille, featured in the video, belongs to one of my friends. He inherited the Cadillac from his grandfather. His grandfather bought this Cadillac, outfitted with a floor to ceiling red interior and an all white exterior. Its vintage nature fit the rebellious, free spirit image we were looking for. I could not imagine a more perfect car for this video. It exudes character and really allowed for my videographer and I to feature it. In search of a diner, I found myself in New Hope, PA, a town widely known for its love of the arts, seated right on the banks of the Delaware River. A few miles up the road is New Hope Diner. This classic ‘50s diner has been preserved and well kept. They were more than happy to have my team and I come in and use their space for the video. We had only been filming for about 15 minutes, capturing the opening scene shot, when a local homeowner asked us to leave. Sometimes filming can make people uncomfortable…even if you are just a girl with your ukulele. We then headed into town to film some driving scenes on a street location. A few minutes after we started filming the police were called by concerned homeowners. With a ‘76 vintage Cadillac and my sparkle skirt, one could say that we did not blend in anywhere we went. It is good to know that these good people are truly practicing “if you see something, say something.” The officer was very nice, but we did have to leave and hopefully stay out of anymore trouble. All of these events made for one wild ride and we still got all the shots we needed to tell the story. “Take Me with You” is a nostalgic journey, acknowledging the people and places that shaped you, and how the things that happen between point A and point B can mean more than your arrival.